News truly travels around the world, fast. 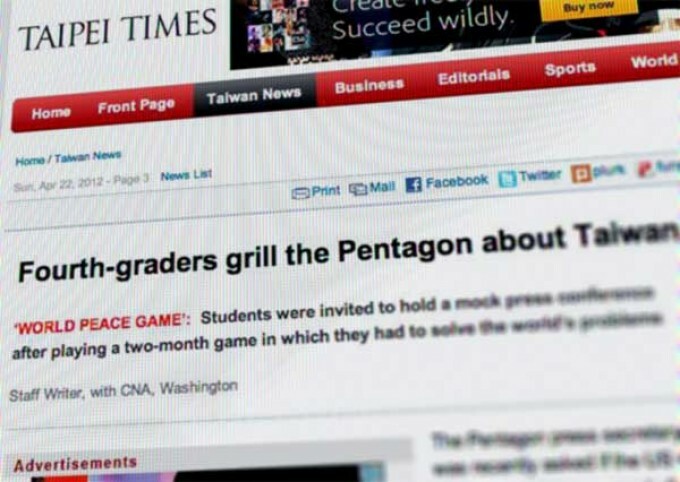 Within twelve hours of the piece about John Hunter and his class visiting the Pentagon appearing in the Washington Post, the Tai Pei Times had picked up the story. We continue to be delighted by the interested in World Peace and in teaching methods that inspire creative problem-solving and high levels of engagement in Tai Pei. We are hoping to visit that area in September for a TEDx conference and to share our Martin Institute Master Class experience with teachers in the area.